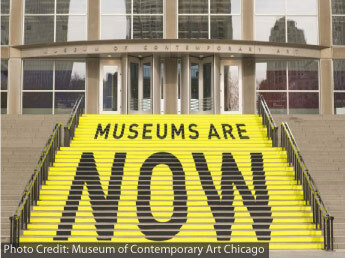 The Museum of Contemporary Art Chicago is one of the world's largest contemporary art venues. The museum's collection is composed of thousands of visual art pieces from the Post-World War II era. The museum catalog includes pieces by Jasper Johns, Andy Warhol, Cindy Sherman, Kara Walker, and Alexander Calder. The museum also presents dance, theater, music, and multidisciplinary arts. Convenient parking for the Museum of Contemporary Art is available at the following parking locations. Click the location address to see more information about that parking location. The museum is located near the Water Tower Place in Downtown Chicago. The building is popular for its spiral staircase which leads to a ground floor atrium that overlooks Lake Michigan and the City of Chicago.